Toxic mud spill 'ecological catastrophe' Jump to media player Hungarian Prime Minister Viktor Orban has described the toxic sludge spill from an alumina plant reservoir in the west of his country as a "ecological catastrophe". 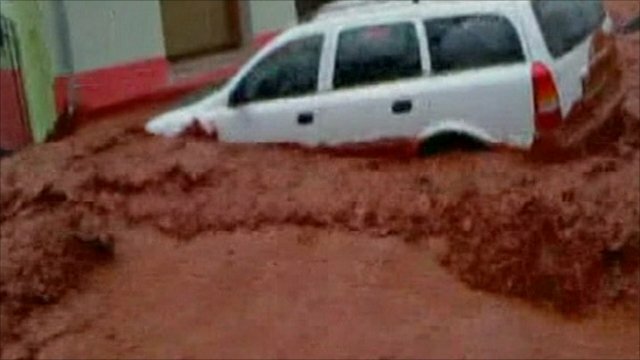 Hungary battles to stop toxic mud Jump to media player Hungary says it will cost tens of millions of dollars and take at least a year to clean up the damage caused by a spill of industrial toxic red sludge. 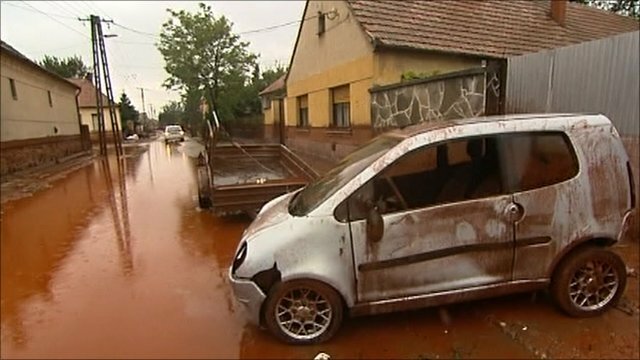 Huge toxic mud clean-up in Hungary Jump to media player Decontamination and street cleaning has begun after a spill of industrial toxic red sludge in Hungary that killed at least four people. 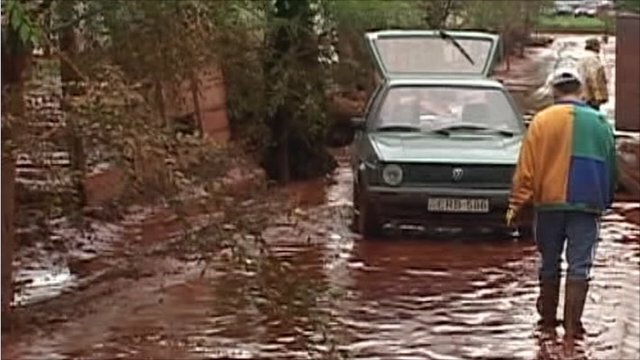 Toxic sludge was like a 'tidal wave' Jump to media player Hungary counts the cost after toxic sludge bursts from a reservoir. Prime Minister Viktor Orban has said the toxic sludge spill from an alumina plant reservoir in western Hungary has caused an "ecological catastrophe". His comments came as he visited the spill site near the village of Kolontar. Meanwhile, efforts continue to try and stop the red chemical sludge, which has already contaminated the Raba river, from reaching the Danube.